About 1 percent of the population is on the autism spectrum, according to the Autism Society. While some people look at this condition as an abnormality or problem, those who know someone on the spectrum will tell you they are amazing with unique personalities and have so much to offer. One with such incredible personality is Paul Didier. The man from Indiana has autism and finds comfort in his special friends he believes are also his family. 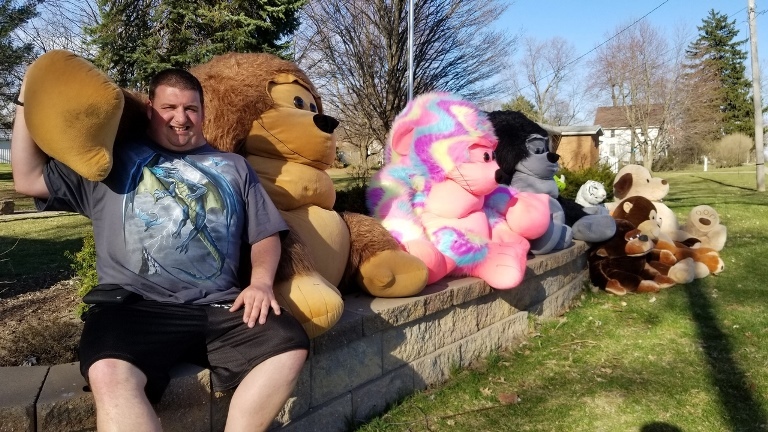 Speaking about his friends, he told WANE: “I just love all my stuffed animals that I love.” His stuffed toys, particularly stuffed gorillas, love to hang out outside their home during warmer months. 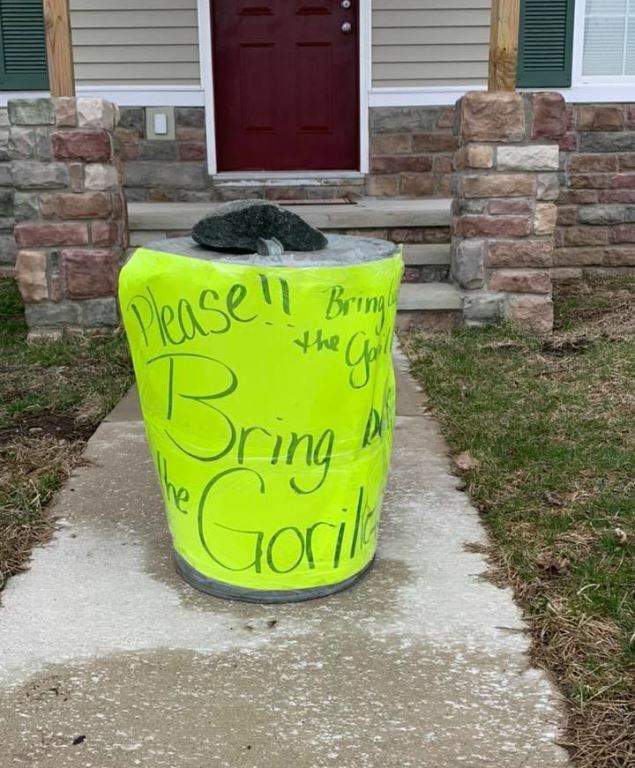 “It’s kind of an icon in the community where everybody wakes up in the morning and sees what Paul has done with these gorillas,” said Fremont Police Chief Deputy Jordon Trippe. 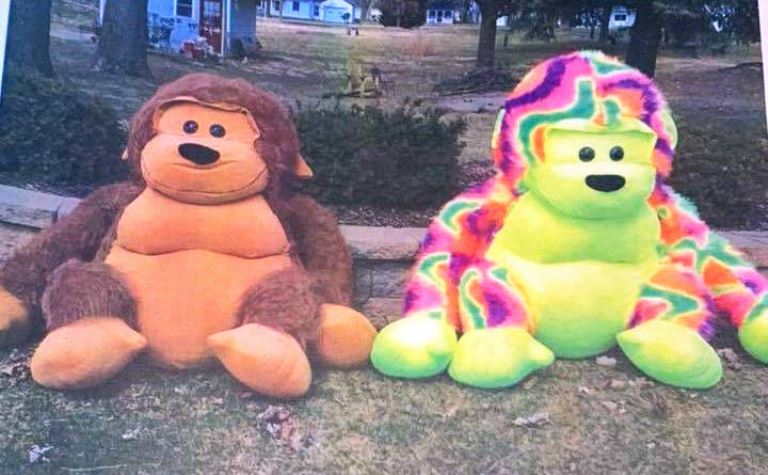 Unfortunately, two of his beloved stuffed gorillas were stolen from Didier’s porch – gorillas named Rainbow and King Louie. The Fremont Police Department quickly jumped in to help. They shared some photos on their Facebook page, asking people if they have seen their lost friends. The community went above and beyond to help Didier. They dropped of new stuffed animals and even sent tips. Fortunately, King Louie was found and returned. However, Rainbow couldn’t make it back home. 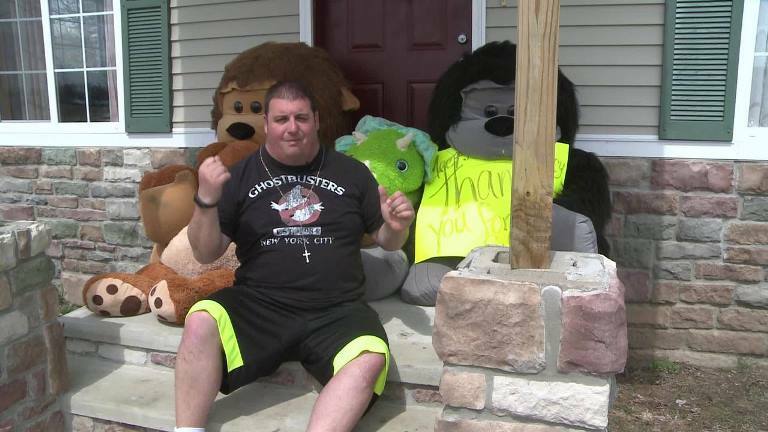 Reports claim a teen from Michigan stole the stuffed gorillas. What are your thoughts on this? Let us know in the comments section and SHARE this inspiring story with your family and friends!